Duane A. Mitchell, M.D., Ph.D., the Phyllis Kottler Friedman Professor and Associate Chair for Research in the Lillian S. Wells Department of Neurosurgery, is one of nine nationally selected speakers to deliver a short talk on new commitments to double the rate of progress in cancer care and research at 3:35 p.m. Friday, Sept. 21 at the National Biden Cancer Summit in Washington, D.C. 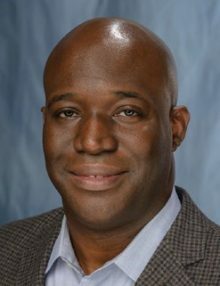 He will announce and highlight a UF-led international brain tumor immunotherapy initiative called The Legacy Program in Brain Cancer. 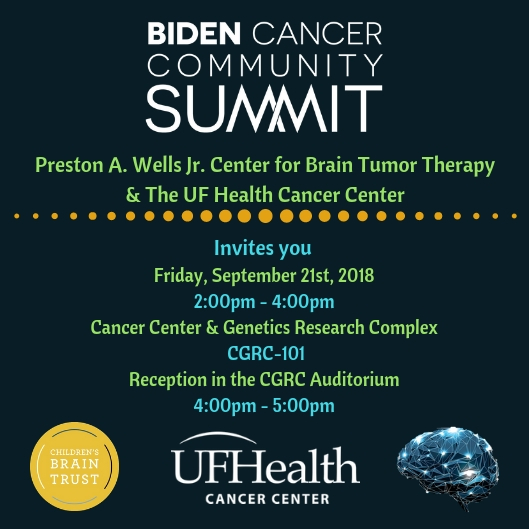 Leading up to the event at 2 p.m. Friday, Sept. 21, Mitchell’s UF Brain Tumor Immunotherapy Program team members will be live-streaming talks about their work during a Biden Community Cancer Summit event. There will be a reception from 4:00-5:00 for Vice President Joe Biden’s live Keynote address from DC.